The 2017 Honda Accord Sedan offers a lot to Hampton Roads drivers, including a long list of passive and active safety features and driver-assist technology. 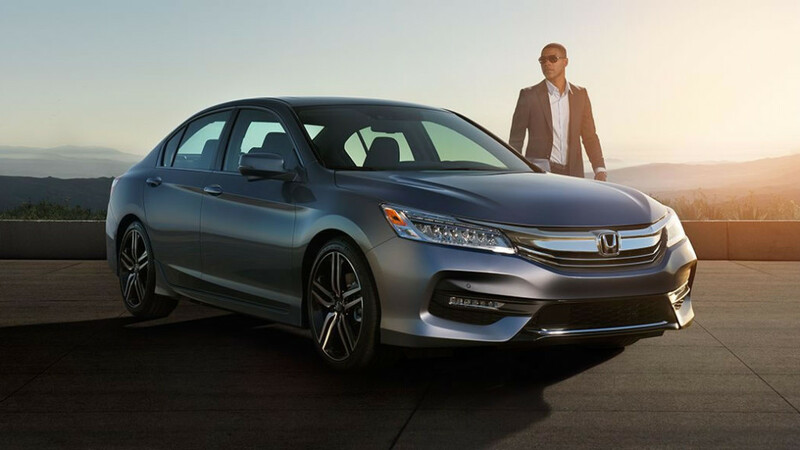 Whether you’re looking at the entry-level LX model or the top-of-the-line Touring, you’ll find a commitment to safety built right into the framework of the Accord and in the sophisticated systems and technologies that help drivers drive better and safer on the road. There are a number of passive safety features that might go unnoticed at first glance but which contribute to making the Accord Sedan one of the safest vehicles on the road. And that’s good news for everyone inside, giving safety-conscious drivers more reassurance when choosing the Accord. Advanced Compatibility Engineering (ACE) Body Structure – Absorbs and distributes crash energy away from the passengers inside. Airbags – The system of airbags in the Accord Sedan includes dual-stage, multiple-threshold front airbags, SmartVent front side airbags, and side curtain airbags with a rollover sensor. A long list of standard active features inside the Accord Sedan, even on the entry-level LX model, is more extensive than on many other comparable models. From Vehicle Stability Assist with Traction Control that stabilizes the Accord on slippery roads or sharp turns to the tire pressure monitoring system that tells the driver when a tire is low on air, the Accord Sedan takes safety to the next level. Multiple-Angle Rearview Camera – Check all of the surroundings of the Accord to make backing in and out of tight spaces much easier and safer. Choose between three different views: normal, wide, and top-down. Daytime Running Lights – The Accord is always visible to other drivers on the road while lighting the way ahead for the driver, no matter what the time of day or weather conditions. These lights are upgraded to LED lights on the Sport trim and higher. The Honda Sensing suite of driver-assist technology is a collection of features that help drivers drive better and safer on the road. The package is available on every Accord Sedan model, which, as Car and Driver notes, “democratizes important safety features” and gives drivers access to prime safety options without having to commit to an upper trim level to get it. Collision Mitigation Braking System – This system can detect when an oncoming vehicle or other object is dangerously approaching the Accord and can engage the brakes in order to mitigate an oncoming impact. Road Departure Mitigation System – This system can detect if the Accord rolls over lane lanes or road markings and can engage the brakes and steering to keep the Accord from going off the road. Lane Keeping Assist System – This system uses sensors to monitor if the Accord begins to sway out of its lane on the highway and can nudge the steering in order to bring it back into the center of the lane. Adaptive Cruise Control – This system takes into account both a desired speed and distance interval with the vehicle ahead of the Accord on the road, and adjusts as needed to keep the Accord steadily within the flow of traffic without any driver input. 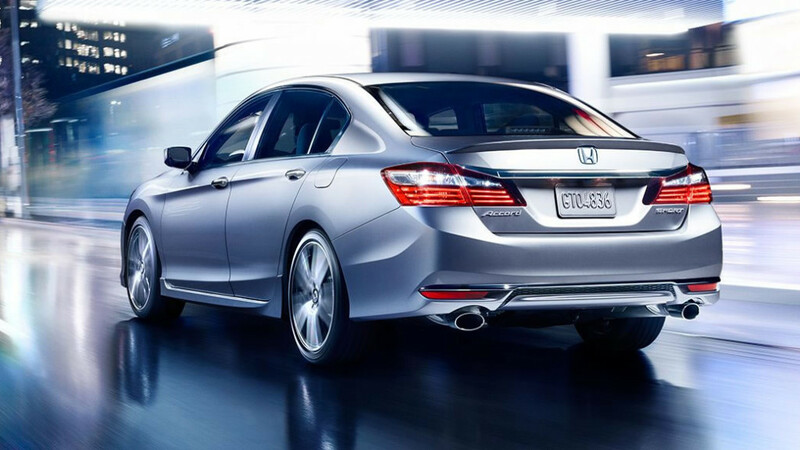 Separate from the Honda Sensing suite, there are even more driver-assist technologies available on the Accord Sedan. Honda LaneWatch – A camera mounted on the passenger-side mirror displays a live video feed of the activity in the blind spot when the driver signals a right lane change. Drivers can see up to four times more than using the mirror alone. Auto High-Beam Headlights – These headlights automatically switch between high-beam and low-beam headlights to optimize visibility on the road, depending on the headlights coming toward the Accord or the taillights from the vehicle up ahead. Visit any Hampton Roads Honda Dealer today to find more information on all of the safety features of the 2017 Honda Accord Sedan and take it for a test drive. Contact us to learn about current offers, dealer locations, and financing options. We think you’ll be as impressed by the Accord Sedan safety as we are!